To change your PayPal billing information, click My Account > Payment > Update my Payment Info. Select the Paypal tab and click the Paypal button. A new window will pop up to validate your account. 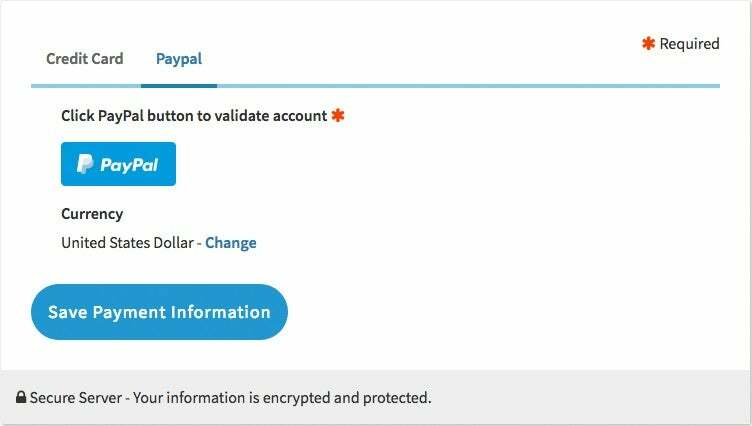 Log in to your Paypal account and follow Paypal's instructions. Remember to click "Save Payment Information."